While personalities like Bola Shagaya and Folorunsho Alakija frequently make the billionaire list, several others exist. Nairametrics takes a look at some of the female billionaires on the Nigerian capital market. Ifeoma Esiri between 1972 and 1976 schooled at the London School of Economics and Political Science where she obtained a Bachelor of Laws and Master of Laws respectively. She is the Lead Partner at Ifeoma Esiri and Co, and has over 25 years’ experience. She was appointed to the board of Stanbic Ibtc on August 30, 2005. Ifeoma Esiri is a director in Stanbic Ibtc holdings where she has 42,894,194 shares. As at our cut off date of April 6, this gives her a net worth of N2.1 billion. 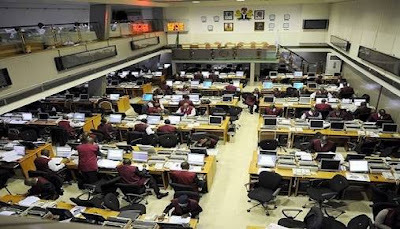 Esiri also has an indirect holding of 2,666,670 shares through Ashbert Nigeria Limited worth N130 million. Bella Disu (nee Adenuga) graduated from the University of Massachusetts, Boston with a BA in arts. She is currently studying at the North Eastern University for an MS in Leadership. Bella is a Group Executive Director at Globacom, a position she has held since June 2004, as well as Chief Executive Officer of Cobblestone properties. She was appointed to the board of Julius Berger Plc on the 30th June, 2017. Bella is the daughter of billionaire Mike Adenuga. Abolanle Matel Okoh is the Chief Executive Officer (CEO) of Havilah Ventures, a real estate firm. She has over 20 years of experience in Nigeria and the United States of America and is a member of the Nigerian Bar and the New York State Appellate Division, Third Department Bar. She graduated from the Ogun State University with an LLB. In addition, she holds a real estate licence from the Weichert Real Estate School, New Jersey, USA. Abolanle has 1.75 billion shares in Wema Bank Plc. Using our cut off date, this amounts to N1.48 billion. Rose Ada Okwechime is the Managing Director/Chief Executive Officer (CEO) of Abbey Savings and Loans Limited, a position she has held since 1992. From January 1971 to April 1980, she was a cost analyst at the Bank of England. In January 1981, she became head manager at African International Bank, a position she held till February 1992. Okwechime is also the proprietress of Infant Jesus Academy, Asaba which was founded by her late husband. She holds an MBA from the Ogun State University. She is a Fellow of the Chartered Institute of Bankers of Nigeria, the Chartered Institute of Bankers, London, the Institute of Brand Management, the Institute of Direct Marketing of Nigeria and member of the Institute of Directors of Nigeria. She holds 1.2 billion shares in the company. At our cut-off date of April 6, 2018, this amounts to N1.6 billion. In addition, she also has an indirect holding in UBA Plc amounting to 20.1 million shares through Infant Jesus Academy. At our cut-off-date, this amounts to N239 million. Her total worth thus amounts to N1.8 billion. Aletor is a lawyer by profession and currently a staff of the Nigerian Law School. Prior to this, she had worked at the Continuing Legal Education Association of Nigeria (CLEAN), Akeredolu Olujimi (Legal Practitioners) and Afe Babalola and Co (Emmanuel Chambers) as a lawyer. Yinka Aletor has indirect holdings of 383,492, 958 shares in NEM Insurance Plc. At our cut-off date, this amounts to N1.03 billion.